A man armed with a gun and a knife robbed a Subway store Wednesday in San Diego’s Midway neighborhood. 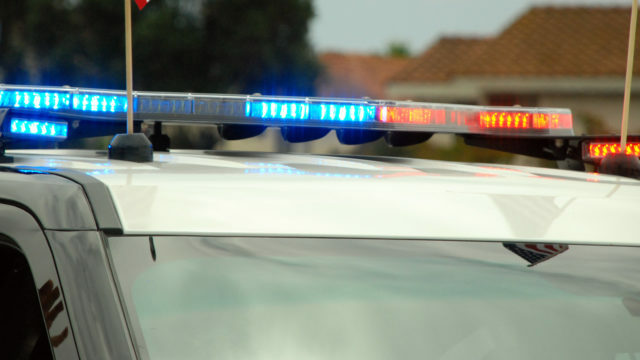 The suspect entered the store in the 3100 block of Sports Arena Boulevard about 4:30 p.m. and sat and waited while the clerks were busy with customers, according to San Diego police Officer Robert Heims. When the customer rush died down, one of the clerks went to the back of the store, leaving the other next to the register, Heims said. The other clerk returned and opened the register and the suspect took an unspecified amount of cash and fled, heading west, Heims said. The robber was described as a black man in his mid-50s, who is 5 feet 10 inches tall, weighs about 160 pounds and had buzz-cut hair and black facial stubble peppered with gray. He was wearing a gray baseball cap, a black zip-up sweatshirt with a gray interior hood and black pants. Anyone with information about the suspect was urged to call Crime Stoppers at (888) 580-8477.